Managing your aircraft right requires more than just a hangar, it requires a passion for flight. 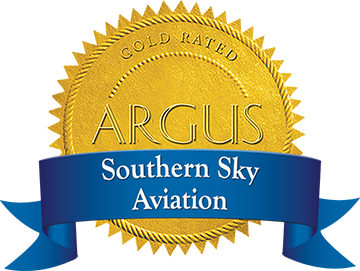 When you purchase a plane, you also accept the responsibility of keeping it flying safely, maintained properly, hangared securely and serviced regularly. So, whether you need to have something repaired or simply need safe storage, we can manage the entire process and see that everything is done on time and on your schedule. Because you own an aircraft, we understand your responsibility. A significant expense for many companies with aircraft is staffing and managing a flight department. Our aircraft management programs are designed specifically for you. Let us help you develop a cost effective and efficient program for managing your planes. 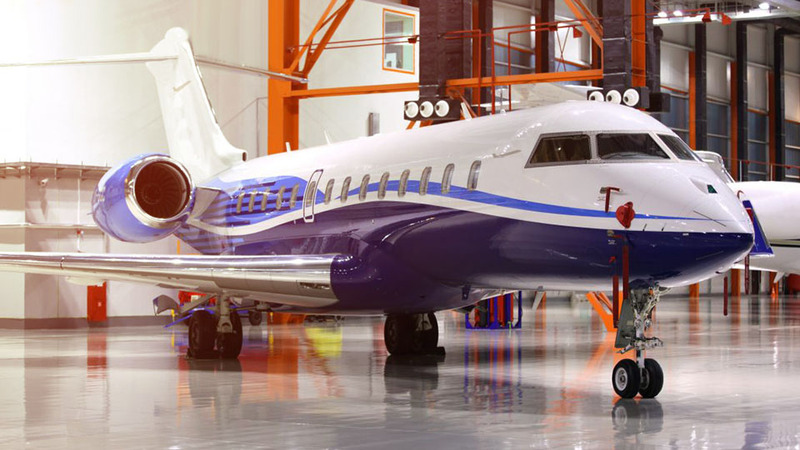 Part of our management services includes storing your aircraft for any amount of time that you require. We offer full-service maintenance and avionics departments and will create and implement a routine maintenance schedule specific to your aircraft. From simple repairs to coordinating overhauls, our licensed mechanics will have your plane ready to fly when you are. 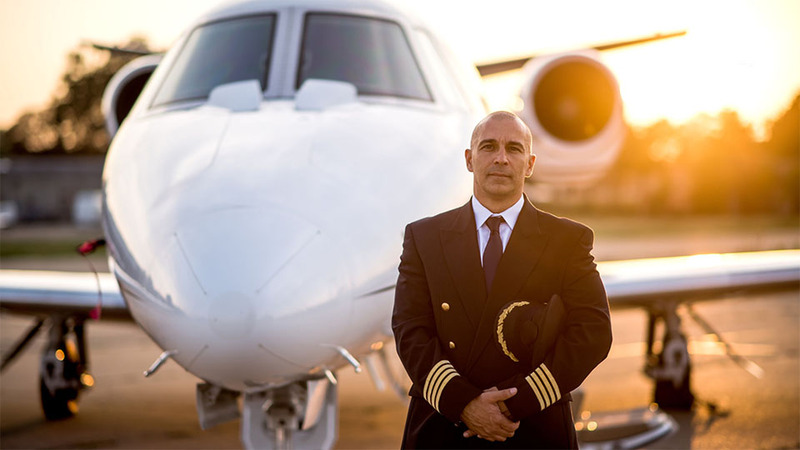 Should you need a flight crew, we employ fully qualified pilots who fly your plane on your schedule. From flight scheduling to cleaning and maintenance, we’re prepared to make owning your plane effortless. An idle aircraft accrues the highest operating cost. Contact us to discuss placing your aircraft in our charter fleet. We can help you fill idle time and reduce costs substantially. But, rest assured, your own schedule dictates the availability of your aircraft in our charter fleet, so it will be available when you need it. 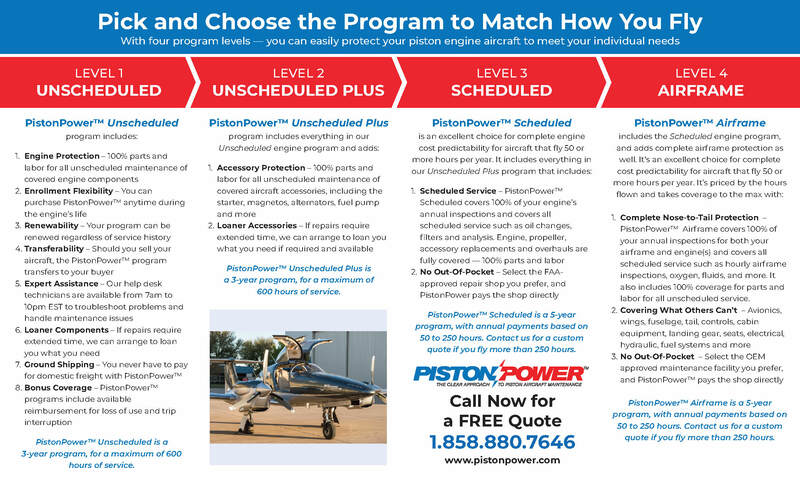 PistonPower™ is general aviation’s first and only comprehensive protection program for piston aircraft. 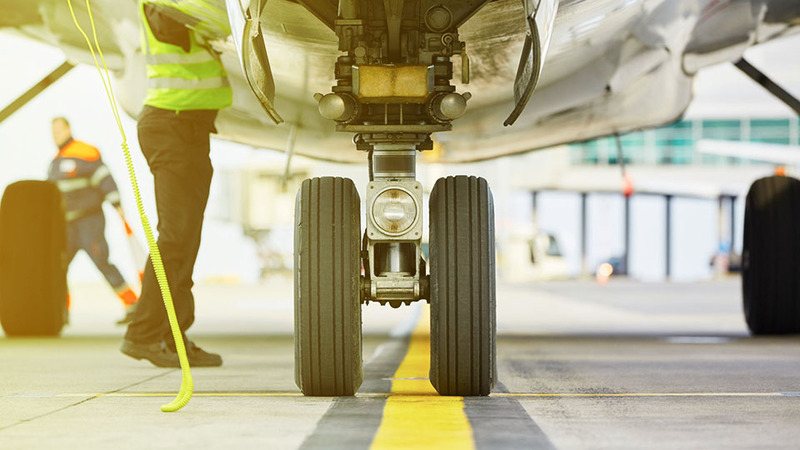 Designed by aviation pros who’ve designed and built similar programs for jet engines, PistonPower™ brings stability to your maintenance budget and peace of mind to your business and personal flying.